Funding a 30% deposit over two years, after which a rental assurance scheme will pay the mortgage for the balance. Funding the entire property purchase over two years interest free, still with the option of using the rental assurance scheme for assured income. The mortgage option can be compared to a 15 year savings plan whereby you pay contributions only for the first two years, while someone else pays the rest of the contributions for you! Please visit http://prosperityfund.co.uk/ for more information. No investment is risk-free, but UK property and the construction thereof is well protected by legislation. The company promoting these properties is called Prosperity and they have identified locations in fast-developing cities outside London but within easy travelling distance of the capital via high speed rail links. Unit prices are set at circa 10% discount to the local property market in each case. Prosperity is able to secure mortgages quite easily for British and continental European expatriate buyers, since mortgages are granted on the basis of an assured rental, not status or income. It can be more difficult for other nationals to obtain loans. 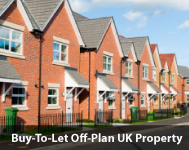 To overcome this Prosperity offer their own funded loan plan under which a buyer of any nationality can pay for the property in equal instalments over two years. Income from the assured rental will still commence after two years, but instead of completely covering a mortgage it will become pure income or help to reduce the instalments. The income yields are all in the 6-8% range. Current developments available to purchase are in Derby and Peterborough. Prices range from £86k for one bedroom units to £119k for larger two bedroom units. Income yields are projected to range between 6.21% and 7.32% per annum. This investment opportunity operates in 5 year cycles with the income paid every six months. The Mall may be sold at any time with the agreement of the investors. However, should an exit not occur before the end of the 5 year term, the mall will be re-valued and re-mortgaged in order to release equity to investors. Thereafter, the next cycle commences with the income stream and capital appreciation opportunity intact, as at the outset. 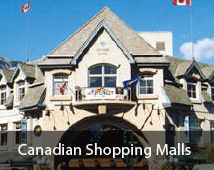 PPI has established a business partnership with a very reputable company that offers direct investment in Canadian Shopping Malls as above. Since 2001 ReDev have syndicated 31 plazas and always paid income yields between 5-7% per annum. Capital appreciation combined with income has averaged 17% per annum for plazas that have been sold.